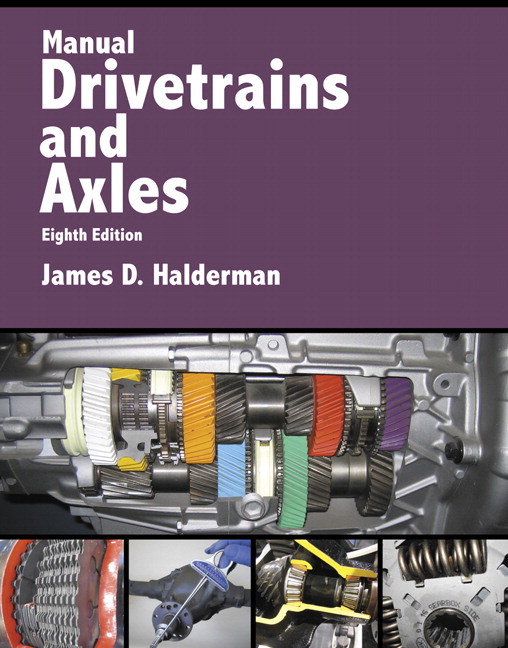 For courses in Automotive Manual Drivetrains. 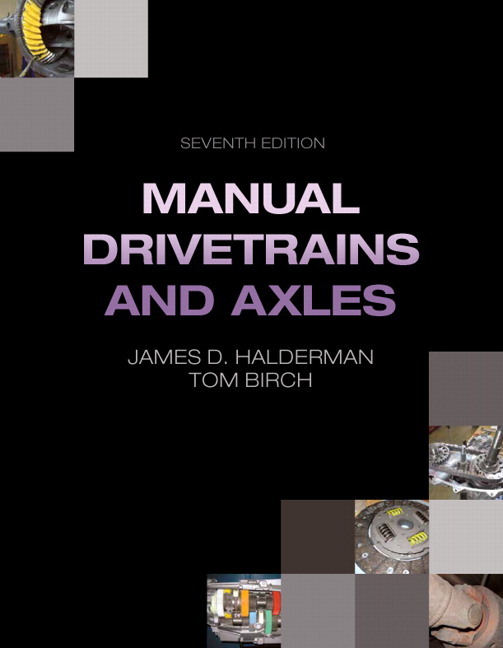 Manual Drivetrains and Axles, 8/e, provides a complete, state-of-the-art source on the operating principles, as well as the service and repair procedures, for manual drivetrains and axles, and includes the practical skills that students must master to be successful in the industry. The book focuses on the generic theory that underlies the operation, diagnosis, and repair of the units and subassemblies found in the many makes and types of vehicles students will likely encounter in their careers. Formatted to appeal to today's technical trade students, Halderman uses helpful tips and visuals to bring concepts to life and guide students through the procedures they'll use on the job. To keep your course current, all of the content is correlated to the latest NATEF tasks and ASE areas, and the new edition includes new case studies, new Tech Tips, additional information on spur-type gears, a conventional global electrical symbol chart, and a new FAQ. Present topics in short, easy-to-read chapters.Thecontent is broken into small, manageable segments. It features twice as many chapters as competitive texts so that a topic or an entire short chapter can be assigned and taught instead of assigning individual page numbers or questions. NEW! Over 40 new or enhanced full-color photos and line drawings have been added to help make the subjects come alive. NEW! New case studies have been added to many chapters that include the “Three Cs” (Concern, Cause, and Correction). NEW! Chapter 17 includes a new FAQ and a new Tech Tip. NEW! Additional information on spur-type gears is included in Chapter 3. NEW! A new conventional and global electrical symbol chart has been added to Chapter 14. Additional information on spur-type gears is included in Chapter 3. A new conventional and global electrical symbol chart has been added to Chapter 14. Chapter 17 includes a new FAQ and a new Tech Tip. Over 40 new or enhanced full-color photos and line drawings have been added to help make the subjects come alive. New case studies have been added to many chapters that include the “Three Cs” (Concern, Cause, and Correction).